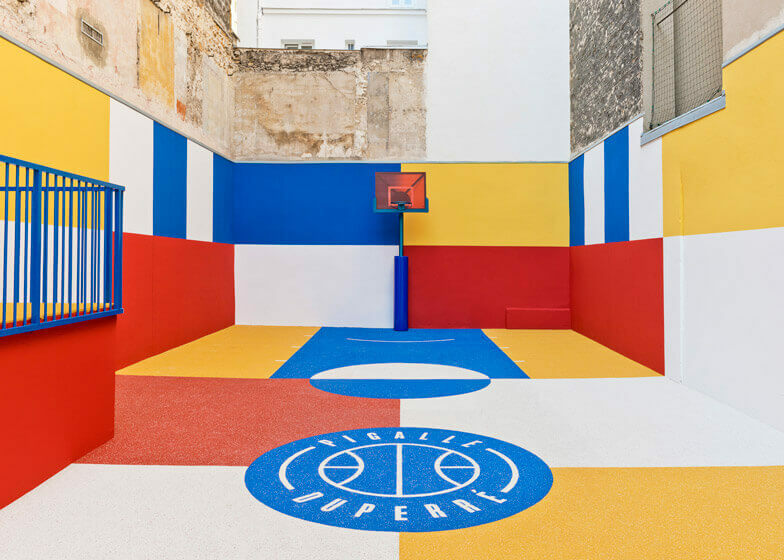 Located 22 rue Duperré in the 9th arrondissement of Paris, this basketball court was recently given an incredible workover, inspired by the works of the Russian painter Malevitch. This basketball court can be visited during the day. Located between the Place de la Bastille and the Gare de Lyon railway station, rue Crémieux is the most colourful street in Paris. One particularly interesting feature is the commemorative plaque fixed 1.75m (almost 6 feet) up the wall of No. 8. It’s the height reached by the Seine in the floods of 1910. 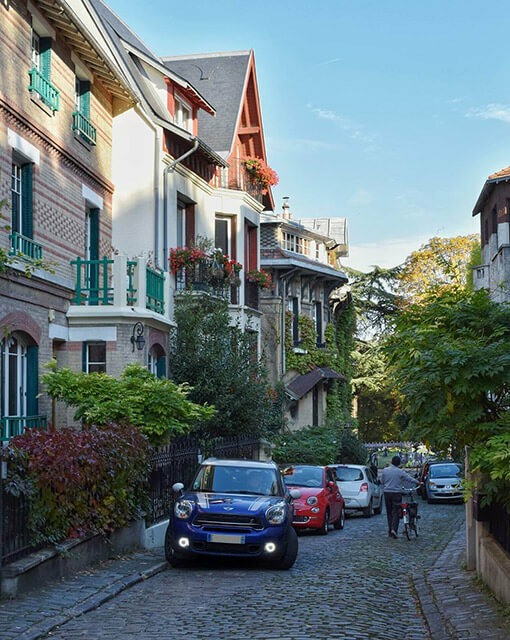 You’ll have to go to the 14th arrondissement to discover this quite unusual place, situated not far from Montsouris Park. You will be able to discover a series of magnificent houses, one of which was designed by the celebrated architect Le Corbusier. Don’t forget to admire the houses where painters used to live, notably the studio where Ozenfant worked and the house built by Roger Bissière. 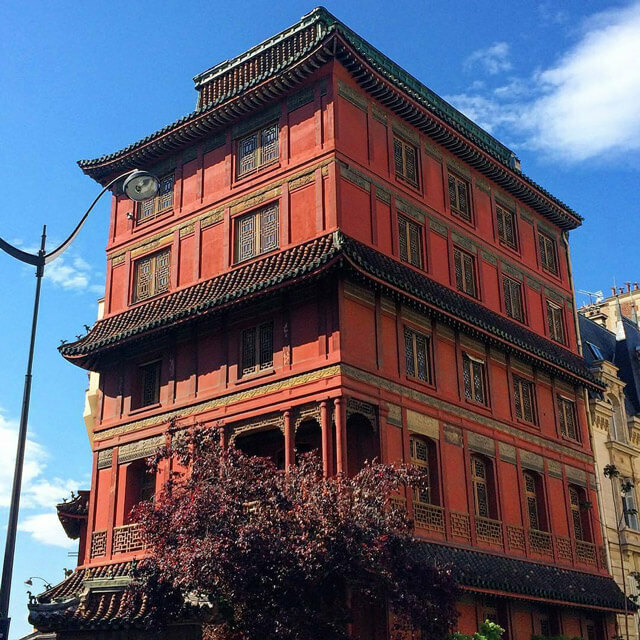 This isn't a joke, you can find a real pagoda at 48 Porte de Courcelles in the 8th arrondissement. A little history: it’s a former mansion transformed by its previous owner, Mr. Ching Tsai Loo, into a pagoda! 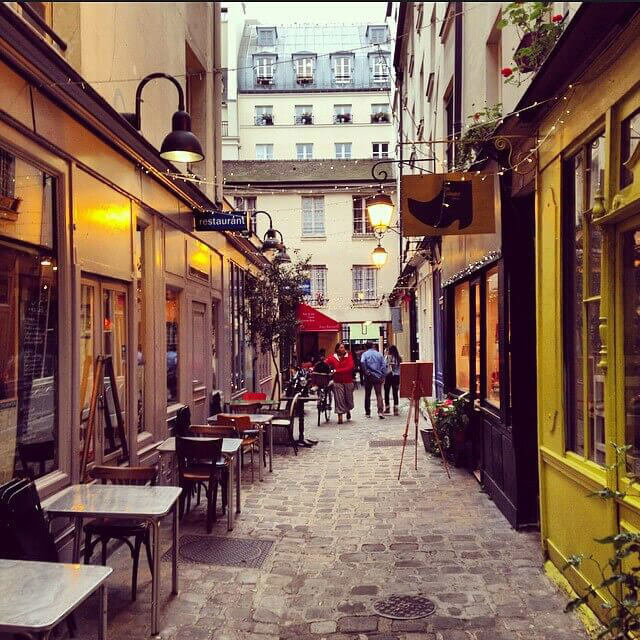 Classified as an historical monument, this street not far from the Pompidou Center is the ideal place to escape the crowds and incessant commotion of Paris! 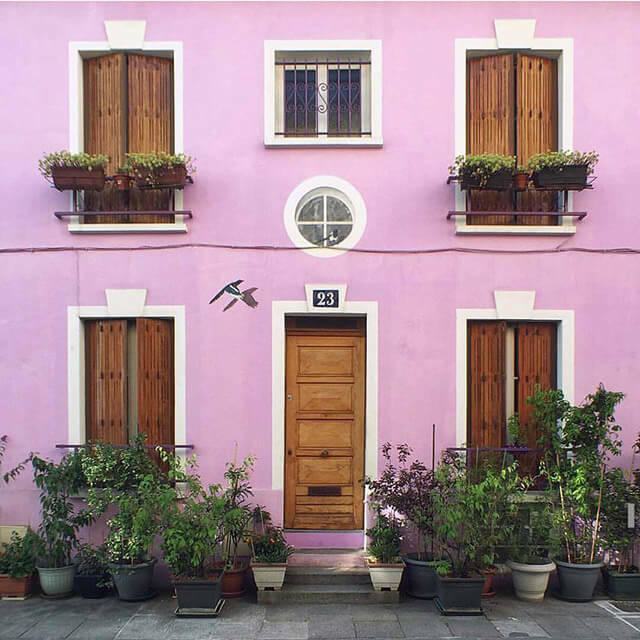 Along with its artists' studios, designer shops and restaurants, discover the brightly painted storefronts in this out-of-the-way street. Its origin? It was created at the same time as the Molière theatre to allow the actors to discreetly come and go.